When our kids are angry — whether they’re a little one having tantrums, or an older child lashing out — it’s hugely distressing for us as parents. What’s wrong with our child? What’s wrong with me? We can think that our child is “bad,” if they’re angry all of the time, or that we’re failing. Instead, what Laurie Hollman tells us is that anger is a normal healthy emotion. 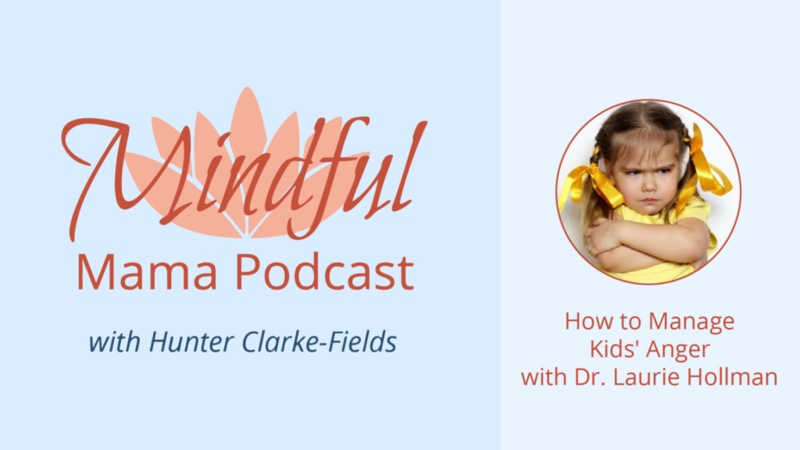 In this episode, she shares her 5 steps for managing kids anger. When we experience our kids’ anger, we feel attacked. Our job is to accept and tolerate our kids’ feelings so they can tolerate it too. Laurie Hollman, Ph.D. is a psychoanalyst with specialized clinical training in infant-parent, child, adolescent and adult psychotherapy, a unique practice that covers the life span. She is particularly adept at helping parents and children relate well together in today’s complex family environment. She’s the author of the Busy Parent’s Guide to Managing Anger in Children and Teens and the Busy Parent’s Guide to Managing Anxiety in Children and Teens.